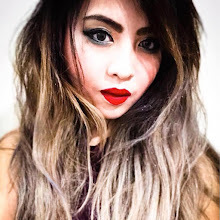 I have been nominated by some of you to Marvin's "Pinay Hottest Blogger of the Year" Grand Finals which will be held at the Araneta Coliseum (joke. haha!) and would love to take this opportunity to thank you for nominating! If you would like to vote for me and for the other bloggers, you can vote in 3 ways. 2. 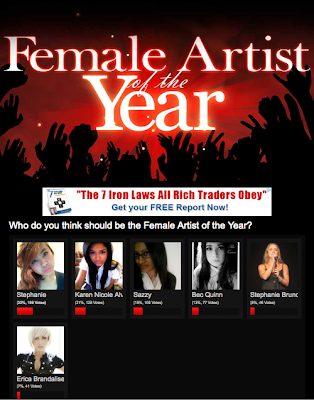 Comment on http://inusentepapalaako.blogspot.com/2011/11/pinay-hottest-blogger-of-year-voting.html saying who you want to vote for. 3. 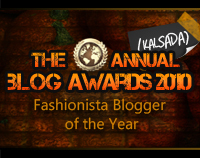 Make a blog post about your choice and tell why you chose her as your blogger of the year, then comment on http://inusentepapalaako.blogspot.com/2011/11/pinay-hottest-blogger-of-year-voting.html with the link to your post. Again, thank you so much for supporting my blog! You guys are amazing! wow! only kiki knows whom I voted! but for sure she's really HOT esp. sa youtube!